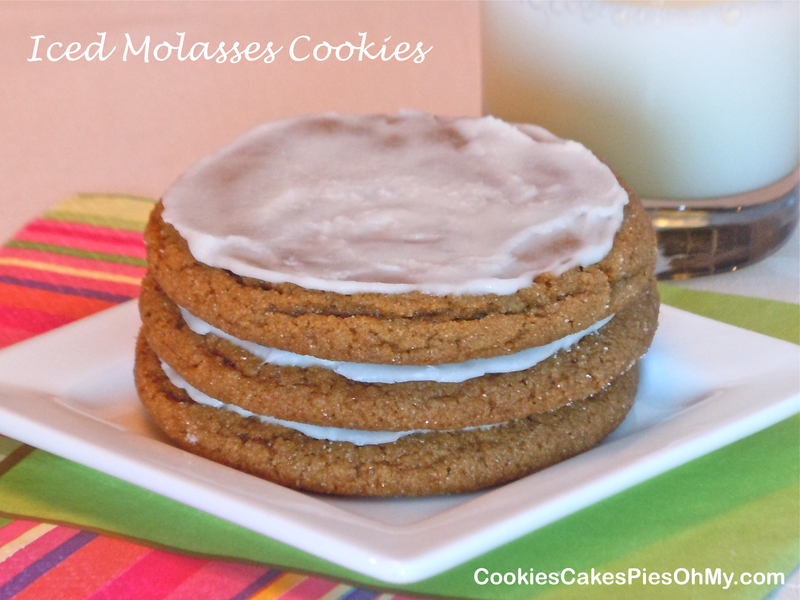 I love a good soft molasses cookie. There is a coffee shop in the Seattle area that sells a mean molasses cookie, I treat myself to one every once in awhile. 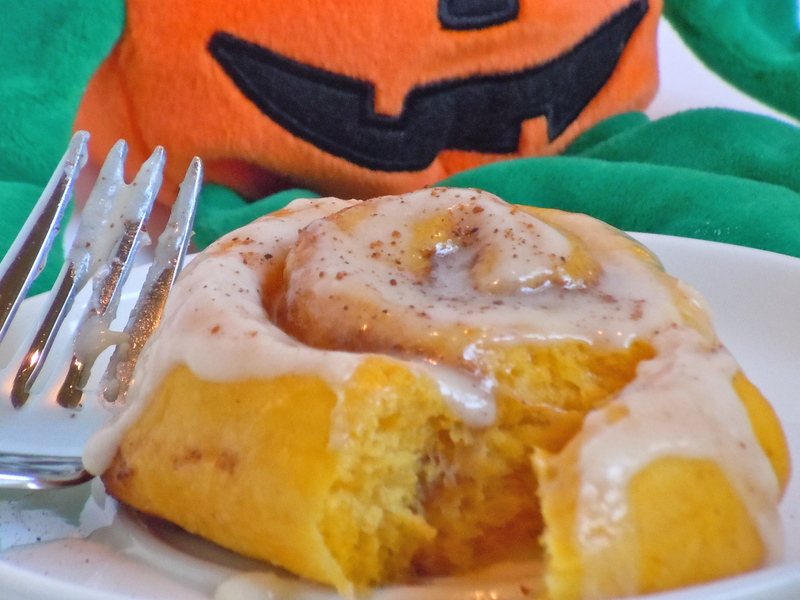 It is best if I don’t make a batch at home because I run the risk of a sugar coma. We will see how I do this time. In large bowl with electric mixer, cream butter and sugar. Beat in egg and molasses. In another bowl, combine flour, salt, baking soda, and spices. Stir into creamed mixture until blended. Chill for 1 hour. Heat oven to 350°. 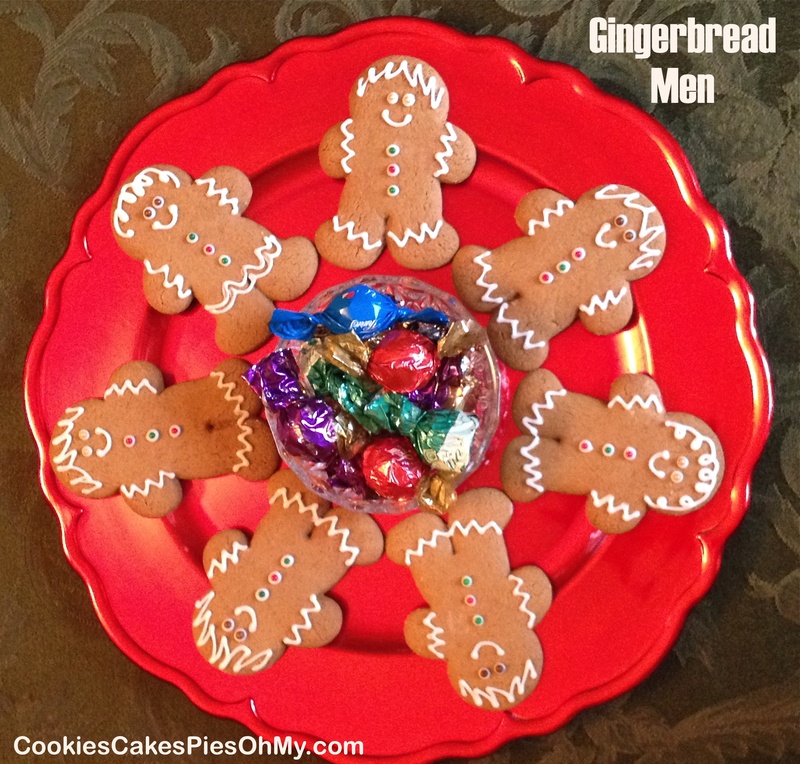 Scoop dough into balls about 1½” in diameter, roll in sugar and place on lightly greased or silpat lined baking sheet, leaving 2″ between cookies. 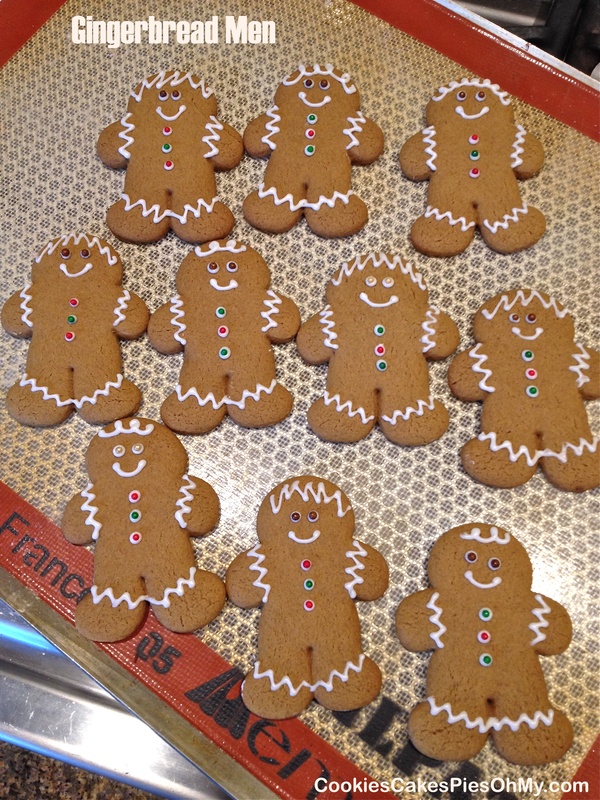 Bake 8 to 12 minutes, until cookies have cracks and center is set, do not over bake. Cool on pan for 2 minutes then move to cooling rack to cool completely. Stir butter, sugar, and milk together until smooth, then add corn syrup. If mixture is too thick, add more corn syrup until it is easily spreadable, but not too thin. 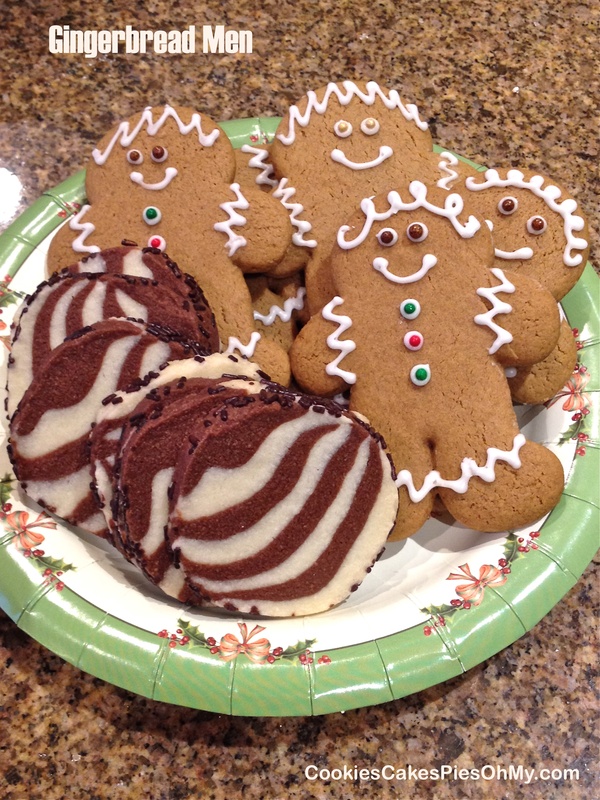 Spread thin layer of icing over each cookie. Let cookies sit until icing sets up. Makes about 30 cookies. 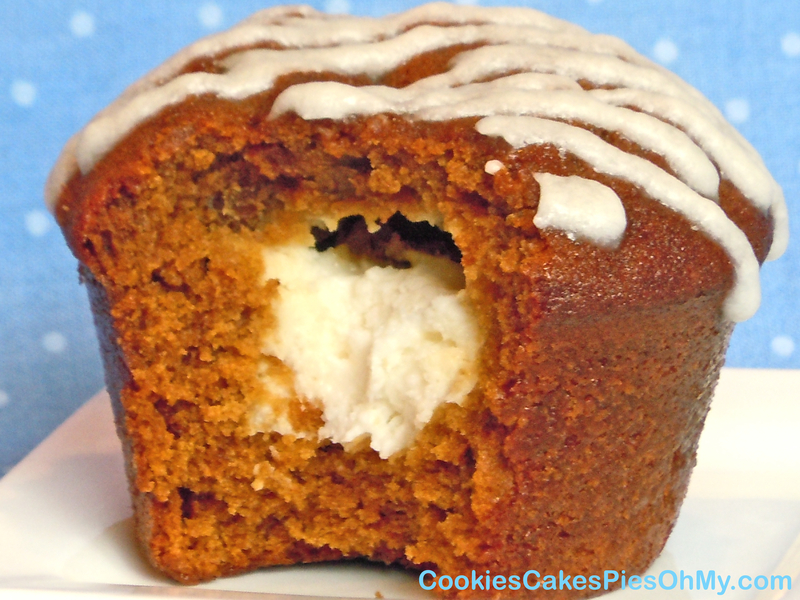 These muffins have the spicy bite of ginger, dark sweetness of molasses, with a smooth cream cheese filling. A delicious breakfast! 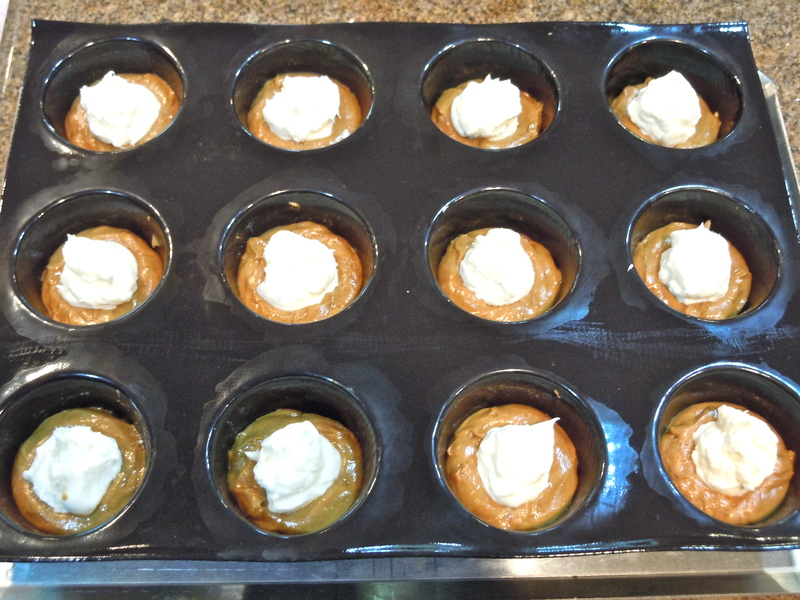 In medium bowl with electric mixer, mix cream cheese and sugar; set aside. Preheat oven to 350°. In large bowl with electric mixer, cream butter and sugar. Mix in molasses and eggs. In medium bowl, stir together flour, baking soda, ginger, allspice, nutmeg, and salt. Add dry ingredients alternately with buttermilk to creamed mixture. 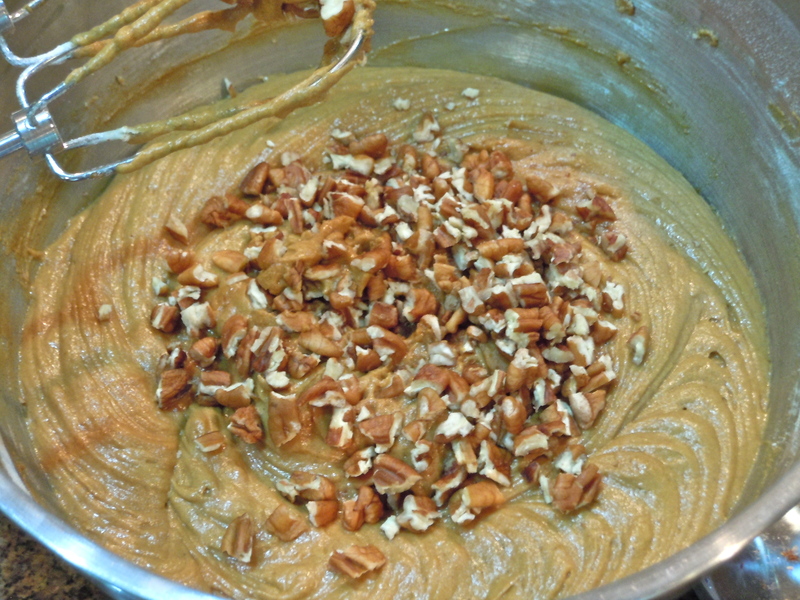 Fold in pecans. 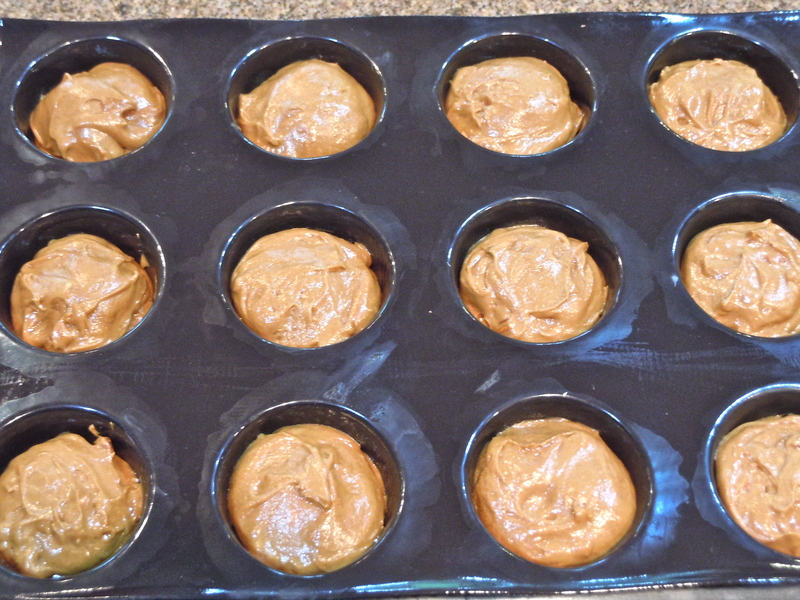 Scoop batter into 12 cup Demarle muffin tray or sprayed 12 cup muffin pan, each cup about half full. Drop large rounded tablespoonfuls of cream cheese mixture, dividing mixture evenly, in center of each cup on top of ginger batter. Gently spoon remaining batter over top of cream cheese to cover. Bake for about 20 minutes or until top center is set. Cool in pan for 10 minutes, then remove to wire rack, cool completely. Whisk together powdered sugar, butter, and milk. Drizzle over cooled muffins. This recipe is found in many places on the internet, I thought I would try it. It is wonderful! I don’t know if it is the exact Outback recipe but no matter, it is great. Terrific texture and flavor. I made a half recipe for one loaf, works great. In bowl of mixer, sprinkle yeast over the ½ cup warm water. Sprinkle sugar over yeast. 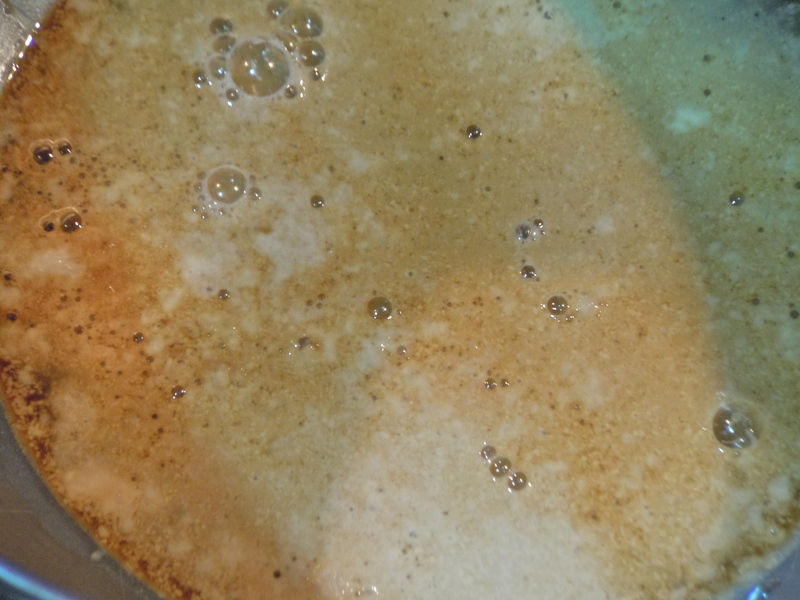 Mix the 1 cup warm water and molasses, add to yeast mixture when it is foamy. 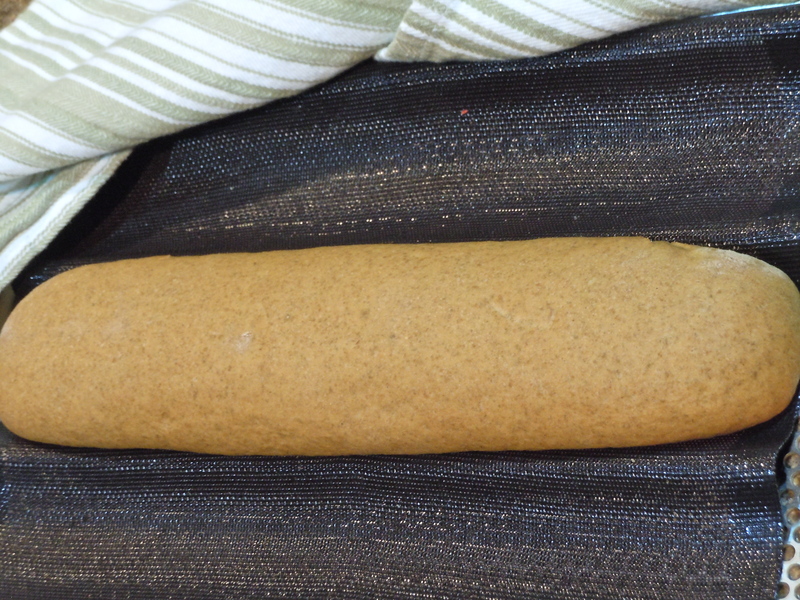 Add rye flour, 2 cups bread flour, salt, and oil. Mix at low speed until all of flour is incorporated, about 1 minute, add remaining flour as needed. Knead another few minutes. Remove dough and place in lightly oiled bowl, turn it to oil all sides. Cover and set aside in a warm place until it doubles in size, about 1 hour. Remove dough from bowl to lightly floured surface, shape into desired loaves. Tuck and roll so seams disappear and place on Silpat or sprayed baking pan, I use Demarle Silform Bread Tray on perforated sheet. Cover and set aside in warm place until doubles in size, about 30 minutes. Preheat oven to 375°. Bake 30 minutes, cover with foil during baking if starts to get too brown. If you are interested in Demarle bakeware and kitchen tools such as the Silform Bread Tray & Perforated Baking Sheet please visit mydemarleathome.com/kristenparker or simply click on the Demarle at Home logo below. Trying something new. 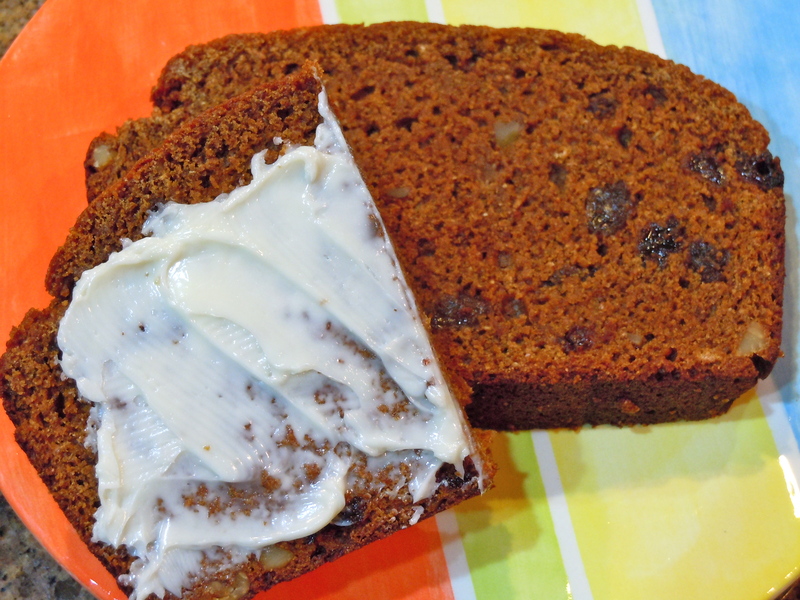 This mixes together quickly and gets its sweetness from the molasses and raisins. 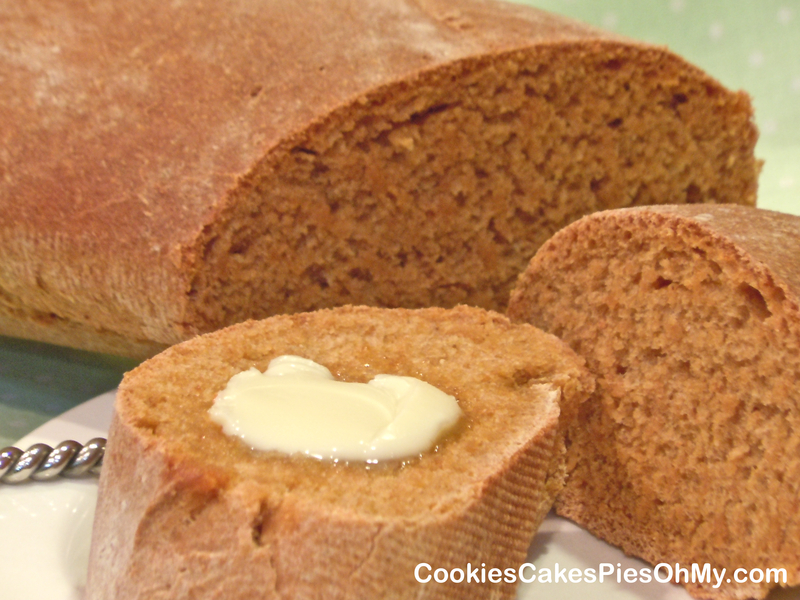 My husband and I like the taste of molasses so we enjoyed the subtle sweet flavor of this bread. Preheat oven to 350°. 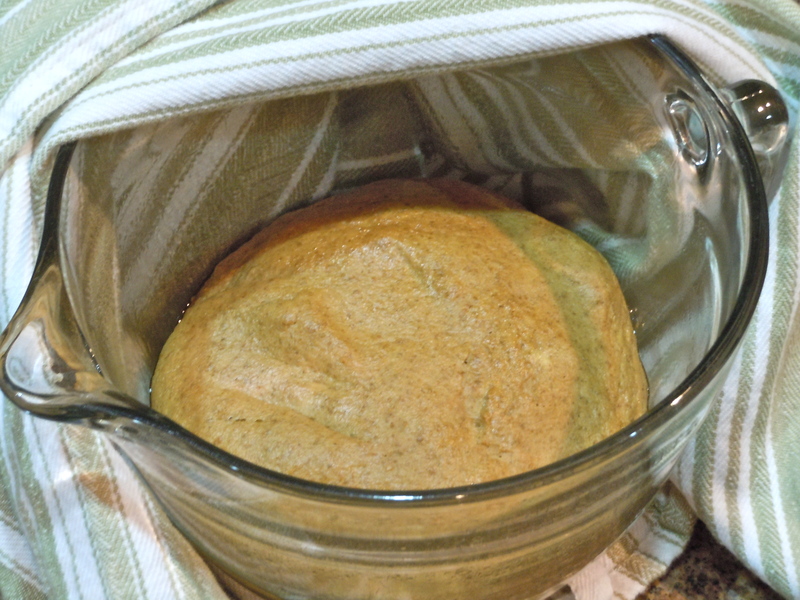 Spray 9X5-inch loaf pan with nonstick cooking spray. Combine flour, graham flour, whole wheat flour, baking soda and salt in large bowl. Add buttermilk and molasses; mix well. Stir in raisins and nuts. Spoon batter into pan. Bake 50 to 55 minutes or until toothpick inserted near center comes out clean. Transfer pan to wire rack; let stand 10 minutes. Turn bread out onto wire rack to cool completely. Serve at room temperature with cream cheese, if desired.